* Gautham, do you understand Tamil enough to know that a lifeless film like Neethaane En Ponvasantham is what we Tamils slam as a Blaydu Padam (Epic Bore)? * Machchi, did you realize that serious movie buffs who have watched Neethaane En Ponvasantham will consider you to be a Kilpauk Case having completely lost your marbles? * Dai Yechakale, did it take you less than a couple of hours to pen your latest outrage, Neethaane En Ponvasantham? * Gautham, do you understand that sane film-goers will shudder at the insanity of a ‘storyline’ suggesting Nithya and Varun were in love from the ages of eight through 24? * Menon, given the hopeless absence of a meaningful story in the film should we assume that Alva kudukradhu comes asalta for you? * Were you on Sulphata Sarakku when you made Neethaane En Ponvasantham because the movie makes absolutely no sense, not even as the romance you pitch it? * Maramandai, does it make any sense that an extremely wealthy and intelligent girl like Nithya has nothing better to do in life than stick like a leech to a guy from a much lower economic strata? * Sweetie, do you ever watch movies that are not made by you? * Tubelight-Mama, after 12-years of making movies why is it still that hard for you to make a watchable movie with a decent script? * Oh, pray tell us why despite being obsessed with Varun and being with him all the time Nithya knows so little about his family or their financial situation? * Menon, did it not strike you that by making Santhanam’s comedy track the main track Neethaane En Ponvasantham would have been a million times better and a billion times more endurable? * Would you overdose if I told you that the audience for the premiere show of Neethaane En Ponvasantham was utterly bored and came to life only during Santhanam’s zany dialogs or antics? * Porambokku, was it your brainwave that a lot of crucial scenes in the film should be captured by long-shots so that the audience can see little of the emotions in the faces of Jiiva and Samantha?? * Menon, what would you tell Tamil movie fans if Ilayaraja commits harakiri upon seeing how you massacred his fine music with rotten picturization? * Thambi, would your ego take a beating if I suggest you educate yourself on the craft of film-making before making your next film by watching some fine foreign films like Polisse, Hedgehog, A Separation, Monsieur Lazhar and Attack? * Kasmaalam, do kids in Tamil Nadu get on the high-intensity Lookku vudaradhu romance track in iskool itself as you suggest in Neethaane En Ponvasantham? * Does it not make you feel guilty that I paid $15 to watch your latest offensive Neethaane En Ponvasantham and came out reeling in shock at your hopelessly amateurish attempt at film-making? * Dai paruppu, do you think the entire Tamil population is full of baeku pasanga that they’ll swallow the nonsense of seeing Jiiva (a father) play a school kid? * Dhanda Soru, did you not feel the necessity of putting two mediocre actors like Jiiva and Samantha through intensive rehearsals before the shooting of the film commenced? * Were you not horror-struck to realize that the semma figuru (Samantha) does not have a single acting cell in her entire petite body? * Goiya, did no one tell you that you could have picked any Muniamma walking down Walltax Road and extracted a better performance from her? * Paradesi, can you share the secret with 68 million Tamils how you get people to finance your inane movies? * Kasmaalam, would you agree that without doubt this time your film has apu adchichu? * Gautam Vasudev Menon, were you aware that in Madurai they call folks like you posaketta paya (போசகட்ட பய)? N.B. : Folks, since Neethaane En Ponvasantham is an unendurably boring, vapid romance it richly deserves your raised middle fingers to this abomination. 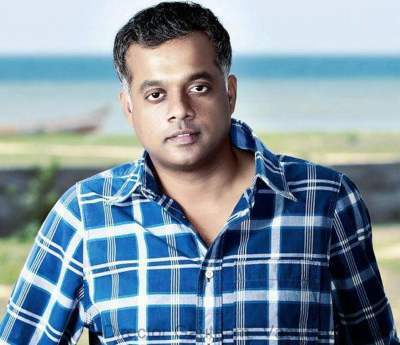 8 Responses to "Neethaane En Ponvasantham Review – 24 Questions for Gautham Vasudev Menon"
Had a good laugh but the slang words does not live up to your ardent (read as devilish) followers like yours truly. I would personally prefer words like T.Paiya, Thooma, Okkali, Baadu, Lavada, etc in general when I want to abuse people. I planned for a movie marathon tomorrow – morning this film and evening Hobbit. Un’f*cking’believable! This jackass Gautham Menon has 11 films behind him and yet all he can deliver is this Epic Bore! No, I have no hope that Menon is capable of making movies and if he loses money on this junk it should serve as a good lesson. I don’t understand the logic of those long-shot photography for some crucial scenes like the confrontation between Nithya and Varun when Varun tells her that he’s leaving for IIM Kozhikode and she says she wants to tag along. 2. I too might watch Hobbit tomorrow. Consider squeezing in Bemani, Saavu Graki, Somari, Kasmalam and a few other fine words from Madras Tamil. Usually, after any movie I stop by at a gas station for a Mint Chocolate Latte (one of my weaknesses). Tonight, I was so mad at this Neethaane En Ponvasantham garbage that I skipped my latte and rushed home to expose this incompetent fella and warn others not to waste their money! I doubt if people even knew this movie was releasing. NRI Tamils prefer pirated movie web sites or Roku or Thirittu DVD’s to watching most movies in theaters. Exceptions are movies of Rajini, Ajith, Kamal and Vijay. The movie has been released in both Tamil and Telugu. There were about 65-70 people in the hall for the Tamil version. Starring Nani and Samantha, the Telugu version Yeto Vellipoyindhi Manasu likely had a lot more people. Many new Tamil movies are available free in ChannelLive (Roku) within a few weeks. Maatraan, Thuppaki and a few others were added 2-3 weeks ago. Both movies were unwatchable. Do you want to check this out if it has released near your area? 1. ChannelLive is a pay-only service and I don’t think it even works with the Roku device any more. Roku had a special deal with Dish TV and consequently a lot of independent channels on Roku got buggered. You may have been ‘grandfathered’ under an existing subscription/deal. 2. I don’t see Matinee releasing in NJ, PA etc. Are you planning to watch “Kumki”? Heard from many friends both in U.S and India that the film was good. I was not aware of its release. It’s cold outside and I don’t feel up to a long drive to VA or NJ to watch Kumki. Just looked up the movie on Wiki. The subject of the movie is interesting, different from the run of the mill Tamil junk. Good lord, are sarcasm and humor no longer in vogue? super thala….this gautam menon shud be admitted in kilpauk for making mokkai after mokkai……i’m huge fan of baradwaj rangan’s reviews as he is one of the best reviewer in india but to my surpirse even he praised this abnormal film….i prefer films of complan boy surya than this junk…. I never bothered watching it as the word of mouth was that it was awful. I don’t know how the kids were when you did your schooling, but the kids of today are much worse. They don’t just stick to “Lookku vudaradhu” but tend to go much deeper. But I guess it’s also a fact that kids are encouraged even more by such depictions in movies. In TN, they take movies very seriously but somehow tend to ignore the good messages in films. Every generation since Jesus, Mohammed and Krishna has felt that things are getting worse with the succeeding generation. Conceptually speaking, that feeling has more to do with each older generation finding it hard to accept and adopt to the pace of change than the issue of declining “morality” (again, a nebulous term) in successive generations. During certain periods like the Renaissance or the modern Internet era, the pace of change accelerates and makes it all but impossible for the older generation to adopt and broadens the divide between people of different age-groups. The current ferment brought about, largely by the advent of the digital explosion and particularly the Internet, will last a few decades in Asia and Africa.